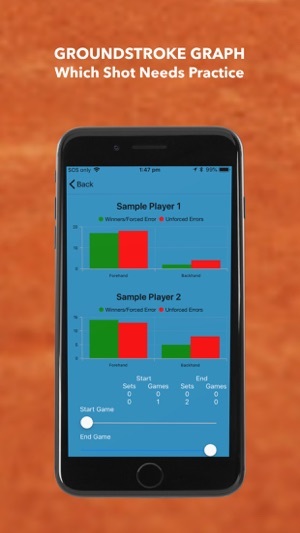 GT STATS has been designed by tennis coaches and tennis parents to record the stats of junior tennis players. 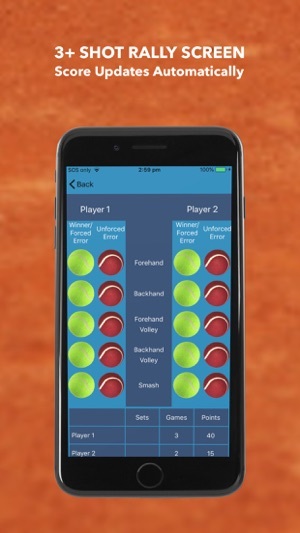 Parents will find the functionality easy to use. 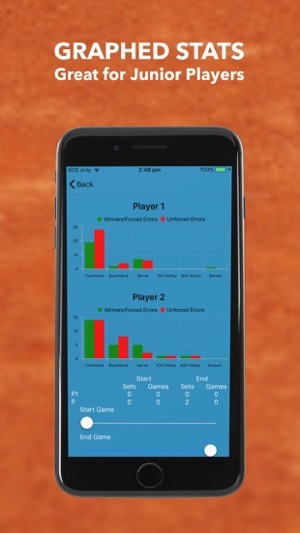 Coaches, junior players and their parents will find the data it provides easy to read. • Match Summary - all shots Winners/Forced Errors vs Unforced Errors. New graphs are added each month and will be available for all users to view. 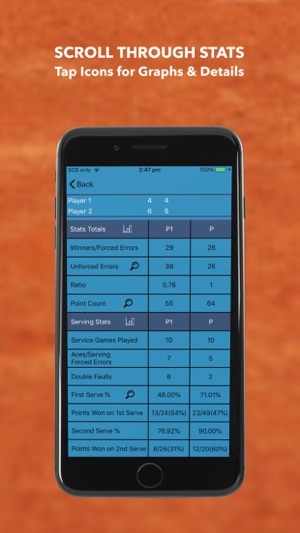 • Share a PDF of the match statistics with the coach using your preferred option e.g. email, message. 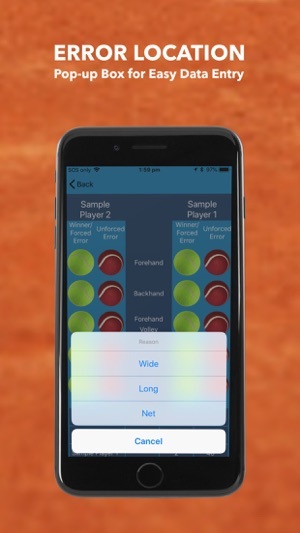 • Pre-loaded scoring formats or load your own. 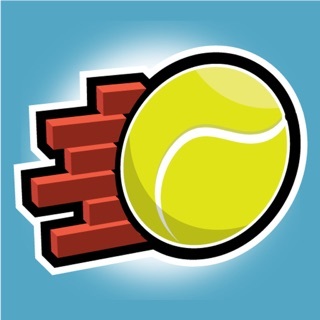 • “Send to Coach” button will send stats and graphs to your coach seconds after match completion. 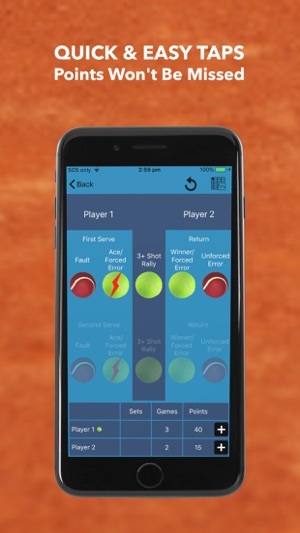 Remote Mode functionality allows users to view matches live and dynamically. 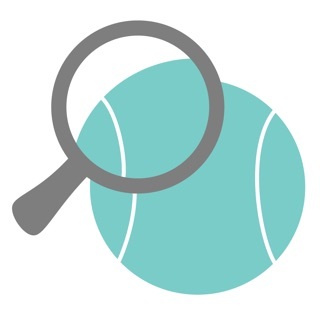 Every point loaded from the court can be viewed by family, friends and coaches from across town or across the world. Remote Mode is available for all subscribers or as a stand-alone, one-off purchase. See below for pricing. GT STATS will prompt you to subscribe when you load your second match. Both subscription options include a 7 day free trial so you can continue to use full functionality. A Monthly subscription is $4.99US. Yearly is $29.99US. 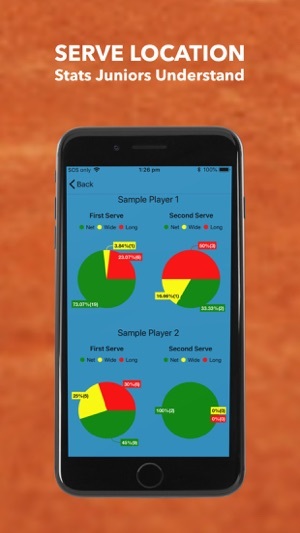 For around the same price as a tin of balls or a restring, you, your junior and your junior’s coach will have access to game changing information and an app that is continually updated and supported. Subscribers can view matches live through Remote Mode. Remote Mode is also available as a stand-alone product via a one-off purchase of $9.99US. 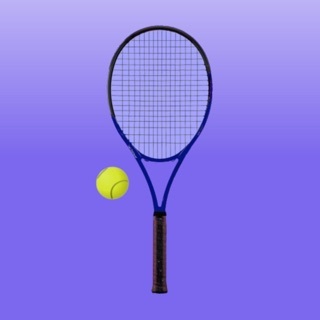 I use it for both my kids matches. 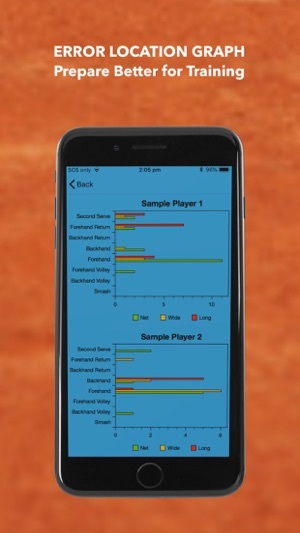 So easy to use and their coach loves getting the detailed stats for their next lesson!